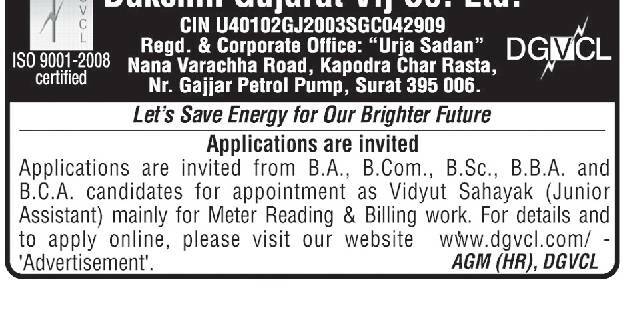 Dakshin Gujarat Vij Company Limited (DGVCL) has published a Advertisement for below mentioned Posts 2016. Other details like age limit, educational qualification, selection process, application fee and how to apply are given below. 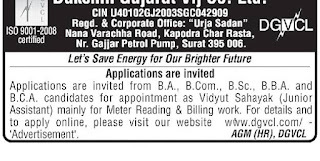 How to Apply : Interested Candidates may Apply Online Through official Website http://mobile.dgvcl.co.in/JobPortal.